Greyston creates thriving communities through the practice and promotion of Open Hiring™ and addresses some of the most disruptive issues facing our country today—inequality and recidivism—through human capital innovation. We are a hybrid organization providing job opportunities at our bakery located in southwest Yonkers where we produce over 40,000 pounds of brownies a day. Greyston provides not only the chance for individuals to overcome barriers that are keeping them from finding and maintaining employment, but also access to critically needed social services such as mental health screenings and crisis intervention. For more information, please visit Greyston’s website at greyston.org. 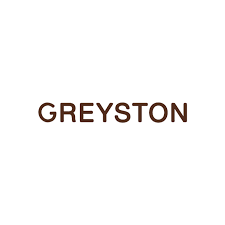 Greyston is seeking a talented, experienced and focused Chief Operating Officer (COO) to lead key activities of the organization through the next level of significant growth. The desired candidate has a history of highly successful leadership in small, nimble organizations, building the infrastructure and processes required and developing a performance-based culture that delivers measurable results without compromising a mission driven organizational culture of collaboration and entrepreneurship. The COO will oversee Finance, PathMaking Programs, The Greyston Bakery, Human Resources, Information Technology, Facilities, and Administration, and play a critical role in delivering sustained growth of Greyston as the leader in Open Hiring™. The COO will report directly to the President & CEO with a dotted line to the Treasurer of the Board of Directors for the Finance function and will have six to eight direct reports. This position is located in Yonkers, NY, easily accessible by car and train. If you want to make a difference and deliver meaningful change and have significant experience and a proven track record in operational, finance and programmatic areas of responsibility and want to join an exceptional, growing non-profit organization as a Chief Operating Officer, please send a resume and cover letter, including salary requirement, to jobs@kkandp.com. Please include “COO – Greyston” in the subject line. Qualified candidates will be contacted by phone and email. Computer literacy tests are required of final candidates for this position.